Argentina president Mauricio Macri’s government last week unveiled a package of new regulations it said were aimed at enabling Argentinian wealth managers to better compete with rivals in other markets, by facilitating the creation of a new “Global Investment Adviser” role. Such Global Investment Advisers (Asesor Global de Inversiones, or AGI) would be able to advise people “who have savings in Argentina or abroad” – under a new regulatory framework that provides for transparency and reduces the potential for conflicts of interest – and to look after their wealth for them, according to the Comisión Nacional de Valores (CNV), the Argentinian regulator. The new legislation comes as Macri, who succeeded Cristina Fernández de Kirchner as president in 2015 and faces a midterm election later this month, looks to make Argentina a viable wealth management centre – which at the moment, few of its high-net-worth residents are believed to regard it as. It could be making progress, though, to judge by the most recent edition of the Global Financial Centres Index, which was published last month and showed Buenos Aires in 90th place on its financial centres league table – two up from the bottom of the list – but on it, which it wasn’t six months earlier. The new regulation establishing Global Investment Advisers also comes in the wake of a tax amnesty programme that ended earlier this year and saw the Argentine government collect around 148.6bn pesos (US$9.65bn) in taxes and fees, while at the same time seeing some US$116bn worth of offshore wealth formally declared to the Argentinian authorities for the first time. At the time the final amnesty totals were published, it was estimated that around 80% of the newly-declared amounts had been held abroad, mainly in US and Swiss institutions. Now that most countries, with the exception of the US, have signed up to participate in the Common Reporting Standard, whereby banks have agreed to report on any accounts they hold for residents of other countries, many governments, Argentina’s among them, are hopeful they will be able to encourage more of their citizens to keep more of their wealth onshore, where it might be invested in businesses and projects that would benefit the country and its residents. As reported here in January, the last few years have been harsh for Latin America’s bankers, as falling commodity prices and economic and political turmoil have hit their clients hard. 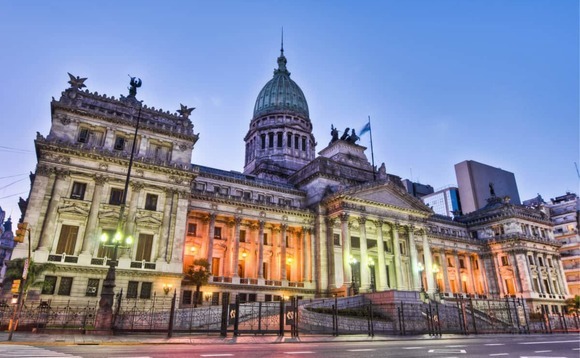 As the first effects of the Common Reporting Standard began to emerge midway through last year, however, a glimmer of hope began to emerge for the Latin American banking sector, as the scale of the wealth being reported to certain LatAm government tax authorities by wealthy individuals taking advantage of highly-publicised tax amnesty schemes began to emerge.